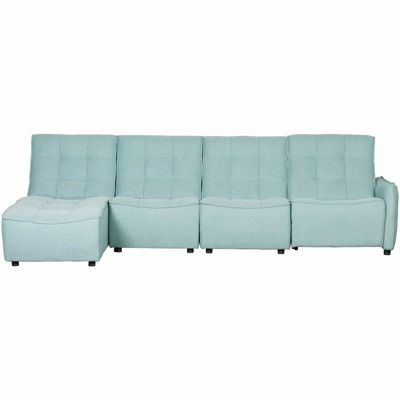 Lounge in contemporary comfort with the Lagoon 5 Piece Power Reclining Sectional by Cambridge Home. 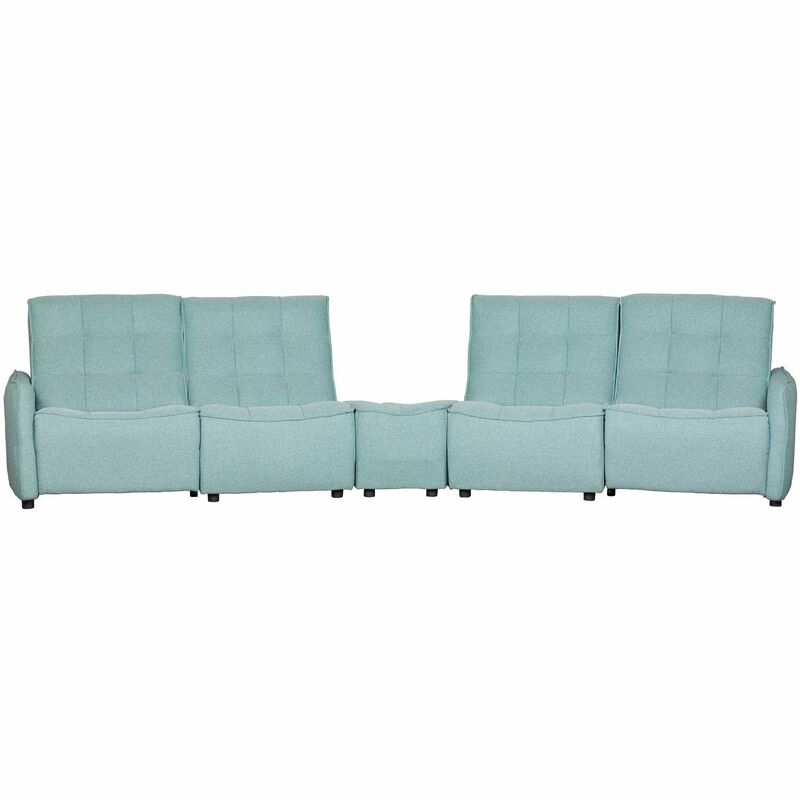 This power reclining sectional has a sleek, contemporary look with a curved silhouette enhanced by blind biscuit tufting on the seat and back and playful aqua fabric upholstery. 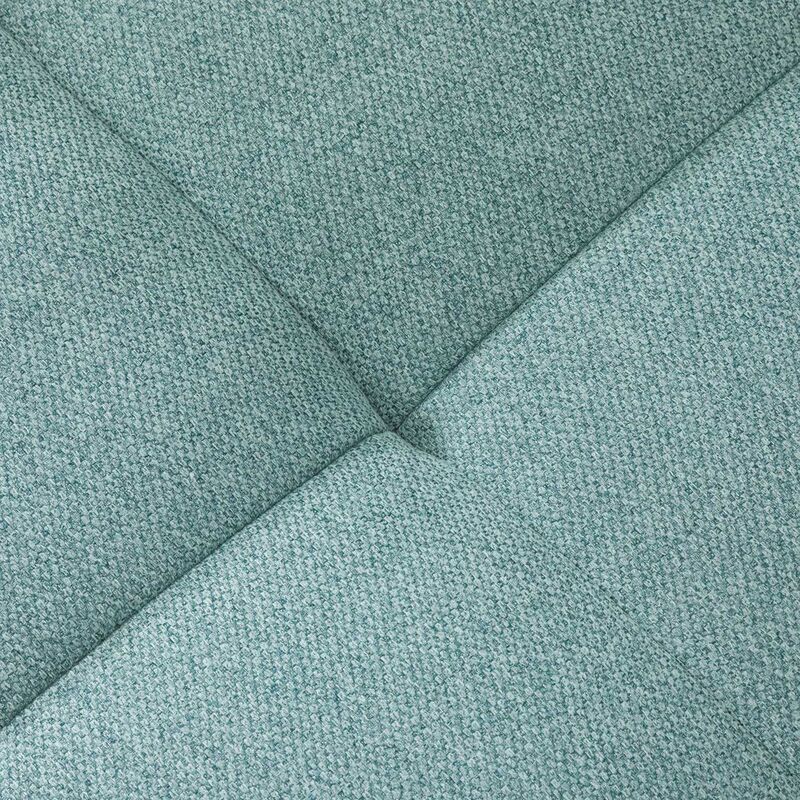 The two power recliners offer infinite comfort possibilities at the touch of a button. Lounge in contemporary comfort with the Lagoon 5 Piece Power Reclining Sectional by Cambridge Home. 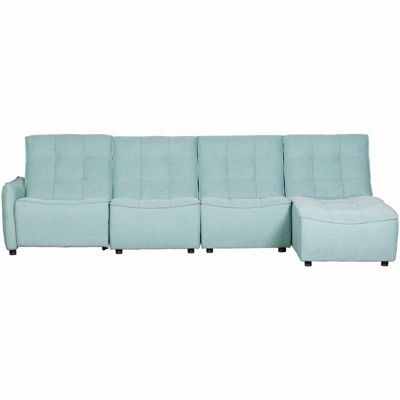 Lagoon 5 Piece Power Reclining Sectional from Cambridge Home. 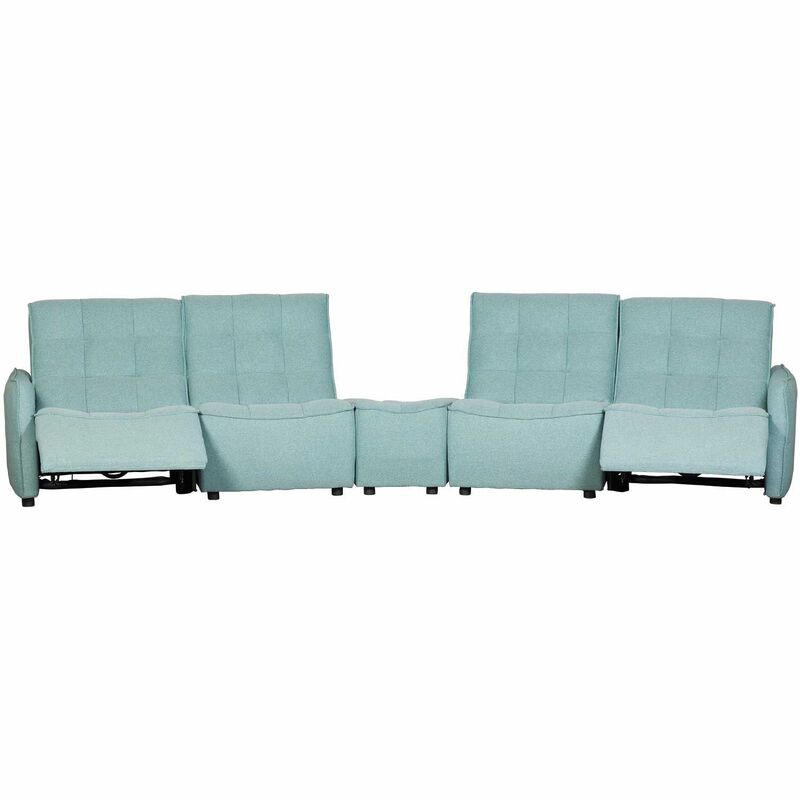 Sectional includes 1 LAF power recliner, 1 RAF power recliner, 2 armless chairs, and one ottoman.